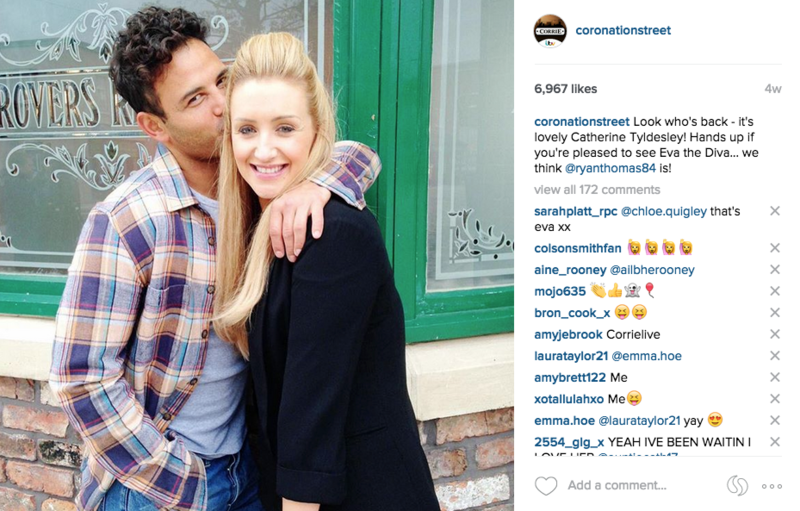 I worked with ITV in Manchester on the #CorrieLive project – a live episode of Coronation Street with innovative social streaming. I was responsible for building anticipation for the live show in the weeks before it aired via imaginative and shareable social content. 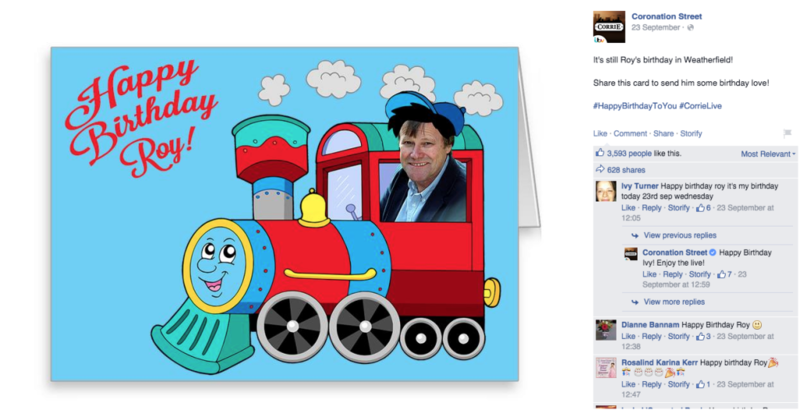 I created bespoke social assets that whipped up excitement from Corrie’s loyal social community – sneak peeks from the set, a shareable birthday card, countdown graphics, gifs, video clips and interactive games were used to engage the audience. I also provided live social coverage of the episodes leading up to the live show, highlighting relevant storylines and encouraging the audience to guess what would happen next. 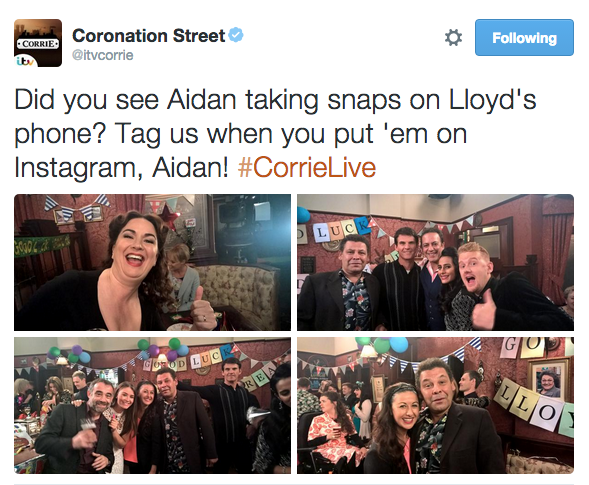 On the day of broadcast, I was solely responsible for Coronation Street’s Twitter output, including build-up during the day and live coverage of the show itself. 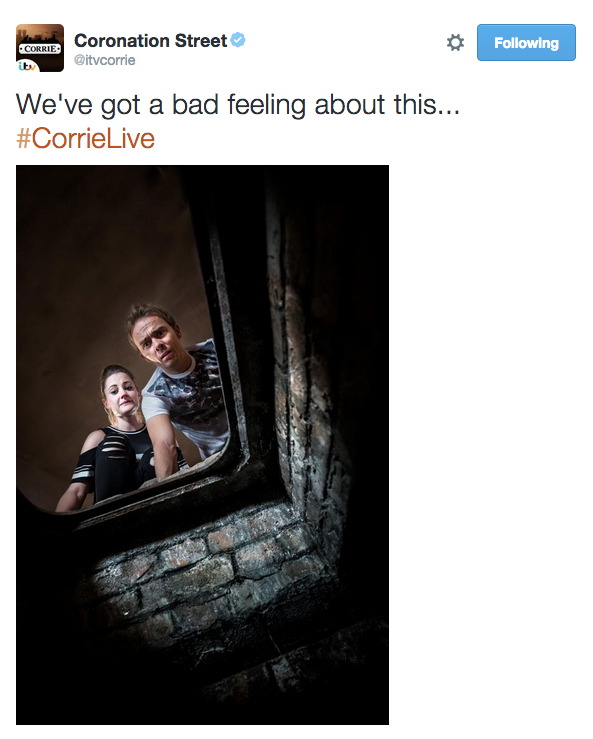 #CorrieLive trended number 1 worldwide, generating 66.8k tweets with a total unique audience of 1.1m users. The Twitter coverage beat the quarter final of The Great British Bake Off by 7,000 tweets and took a 38% share of Twitter’s TV activity during broadcast. Part of the social activity for #CorrieLive was a never-seen-before behind the scenes live stream, which used 11 hidden cameras to broadcast the filming of the live episode as it happened, streamed via Facebook. 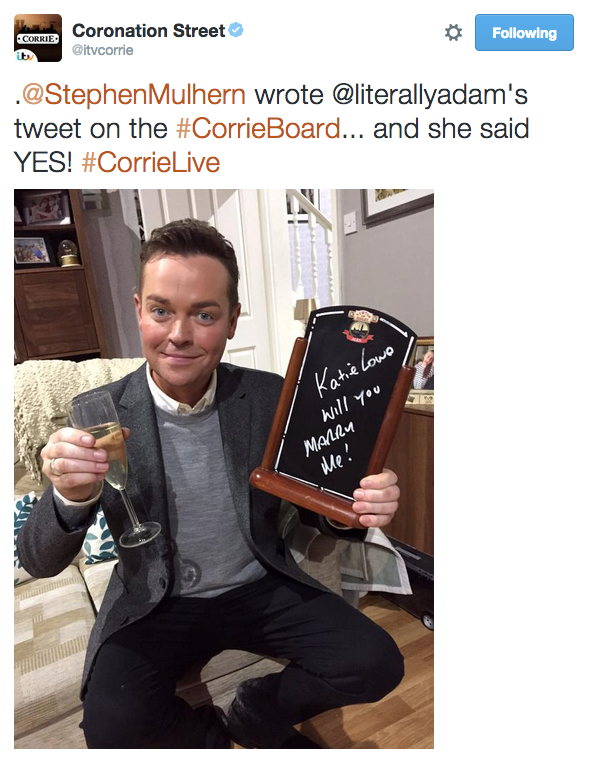 The behind the scenes show was presented by Stephen Mulhern and included interactive elements, one of which was the chance to get a personalised message on a blackboard that would appear in The Rovers during the live show. 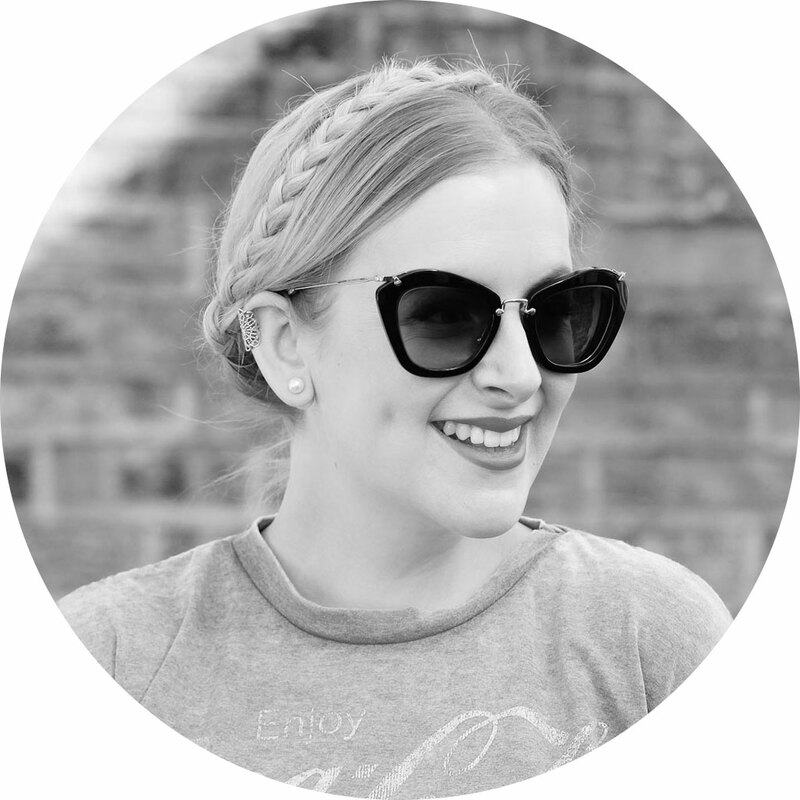 Users were encouraged to send their messages via social media, and I was responsible for choosing the winner – a marriage proposal, which was accepted! Working on #CorrieLive was an amazing experience and it was a huge buzz to be involved in something so groundbreaking.